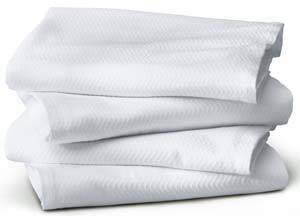 HOSPITAL BLANKETS are made to be highly durable yet soft and comfortable, made to take years of use. They end up in personal collections where someone has been cared for at home who was bedridden, and many older folks just don't have twin beds they can use them on after the patient no longer needs them. When I buy at auction "the contents of linen closet", they're often tucked in amongst the linens that have been stored away, as people found they were too good to discard. They're also easy to dye to any color you want. Obviously they're great to use on twin beds. They look sweet with ruffled white pillowcases!